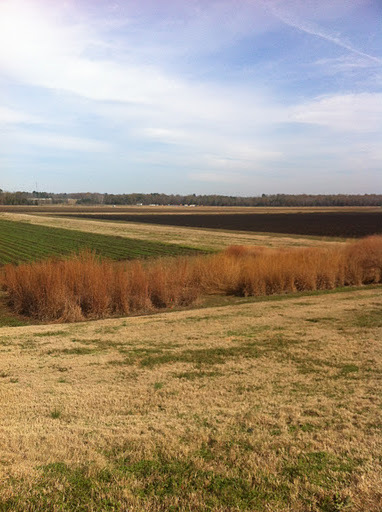 So I’ve been out running at North Farm, this is Mississippi State University’s crop farm… and it’s been a little dull this fall… especially with everything harvested and dug back up! So you’re probably wondering why I’m calling this post the FATTY WINS… well, it’s been no secret that I’ve put on some weight with my knee injury and the stress of life with Dustin’s base getting transferred and figuring all that out. So on my run, on this back section where the Weed Sciences stuff is at, I ran into a Mom and her Daughter while they were out running. I had a decent pace at that point, warmed up and looping back (Counter-clockwise and then clockwise) as it’s an almost 1 mile loop. They were well on their way of heading out of the loop across the bridge and I had a ways to go but I was about 25 feet behind them… Mom picked up her pace, then after about 300m, they walked because the daughter stopped. Okay, I thought no biggy… again, ran 300m and walked… but this time when getting ready to start running, Mom looked back because I almost was to them and TOOK OFF RUNNING WITHOUT HER DAUGHTER! I knew THAT LOOK! It was the the look of ‘I CAN’T LET THAT FATTY BEAT ME!’ Well, all I have to say is don’t judge a book by it’s cover… thankfully there were more areas that had been packed down by traffic making my run easier that some of the earlier terrain (should have called it a trail run!). At one point, I was at an 8:40 pace trying to catch her… I felt pain but there was no way I was letting A LOOK like that beat me… needless to say I pushed past that point and kept going… she heard me coming, I’m sure because I breathe and I made she had a clue the PAIN TRAIN was coming!!! Shortly after I passed her, I think she started walking again… I don’t really know or care… all I am SURE of is that THE FATTY WON! I sure as hell didn’t look back until I was at a bend and trust me, it was sweet satisfaction. Thank you for the motivation. I needed that on a day my legs felt crappy! I’m sure all of us have experiences that relate to this one… I haven’t given that look in a long time and if I do in the future, I plan to sure as hell back it up! But don’t judge a book by it’s cover… you may be surprised with the outcome (as I’m sure she was!)! Fatty wins! Love it! LOVE IT! First, you ARE NOT A FATTY. Second, I love that you showed her who's boss! :)BOOYAH! I couldn't believe it either… you come with your daughter, and then you take off without her. 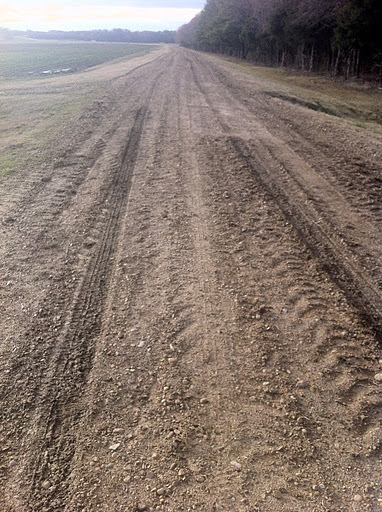 And when you're out in fields of plowed dirt, I tend to look for any extra motivation I can! lol. I appreciate all the well wishes from this post… definitely one of the funnest one's I think I've written!